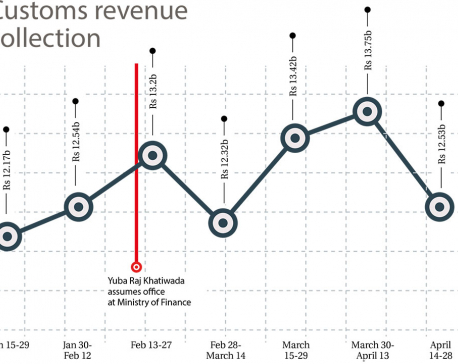 KATHMANDU, April 25: The drop in revenue from import of readymade garments, and tobacco products and its raw materials in the first eight months of current fiscal year, i.e. from mid-July 2017 to mid-February 2018, has left government officials worried. The government has set overall revenue growth target at 25 percent in FY2017/18. According to statistics compiled by Department of Customs, revenue from import of readymade garments fell by 10 percent to Rs 1.69 billion, while revenue from tobacco product and its raw materials drop by 6 percent to Rs1.29 billion. Import of raw materials of tobacco and tobacco products fell to Rs 1.82 billion in the first eight months compared to Rs 2.03 billion in the review period of last year. Garment imports increased by a whopping 91 percent to Rs 11.44 billion till eighth month of the current fiscal year ending mid-February compared to import figures of the same period of the last fiscal year. However, its imports saw a sharp fall in the eighth month of FY2017/18 to Rs 1.2 billion from Rs 2.3 billion in the seventh month. Government officials also say that the import of readymade garments has come down considerably in the ninth month or (mid-Feb to mid-March) but the data of the period has not been made public. 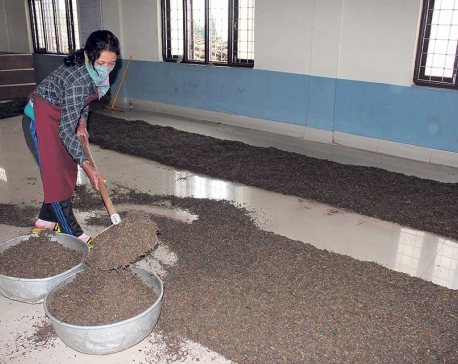 They believe that many traders might have stopped ordering garments after Finance Minister Yuba Raj Khatiwada announced to curb under-invoicing at the customs point after he assumed office on February 27. Government officials are investigating the issue and trying to find out reasons behind significant drop in revenue. Security agencies have beefed up inspection at border points and nearby areas to curb smuggling of goods from India. As the revenue collection has remained below the target set by the finance ministry, the government has been forced to continue internal borrowing to arrange funds for its spending. Drop in revenue was one of the several issues discussed at a joint meeting of officials of Ministry of Finance and Ministry of Home Affairs last week. The meeting of Revenue Leakage Control High Level Monitoring Team led by Finance Minister Khatiwada last week focused on ways to improve revenue collection from customs points. Home Secretary Prem Kumar Rai and chiefs of Nepal Police and Armed Police Office had also attended the meeting. Speaking at the meeting, Minister Khatiwada directed officials to recruit depute staff with clean image and high morale in revenue administration, according to a press statement issued by the ministry after the meeting. Revenue Secretary Shishir Dhungana said that the finance ministry was investigating the significant fall in revenue collection in garments and tobacco products as well as studying measures taken to curb smuggling at border points. 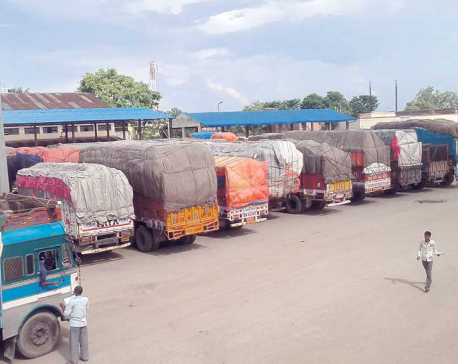 “We assume that garments and tobacco products are being imported through illegal channels after the government took measures to control under-invoicing at customs points,” Dhungana.